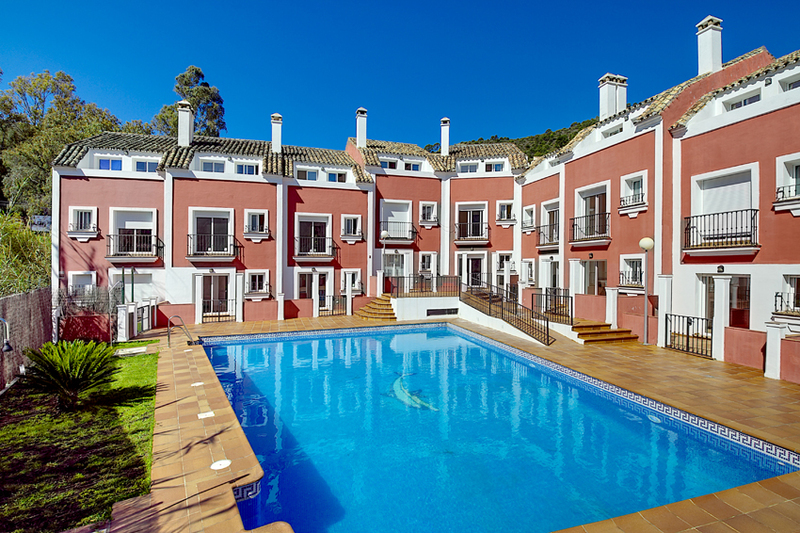 Benahavis Pueblo is a paradise filled with excellent restaurants, leisure areas, marshes, surrounded by the best golf courses and only 7 km from the beach. This development is a charming construction of only 10 townhouses in a totally closed complex, with independent underground garage for a minimum of two cars. Each home has 3 bedrooms with bathroom, toilet, fully equipped kitchen with luxury appliances, fireplace in the living room, centralized air conditioning, backyard and large communal pool and spacious common areas.